Super water adsorbent sponge with a build-in butterfly squeeze system to rinse. 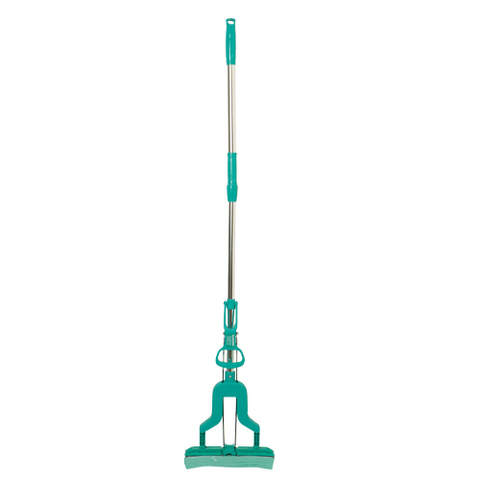 Wet sponge clumps dirt and hair together when mopping and with a simple pull of the handle deposits dirt into the bucket & rinse at the same time. 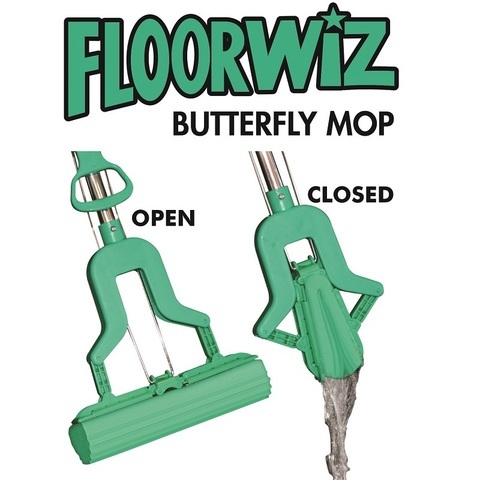 Instead of multiple back and forth mopping action, you will now only need one single swipe motion. Thick dense sponge ensures long lasting use and will not tear or chip off. Sturdy plastic and rust-resistant metal components for a reliable sponge drying system. Stainless steel handle is smooth and comfortable to grip. 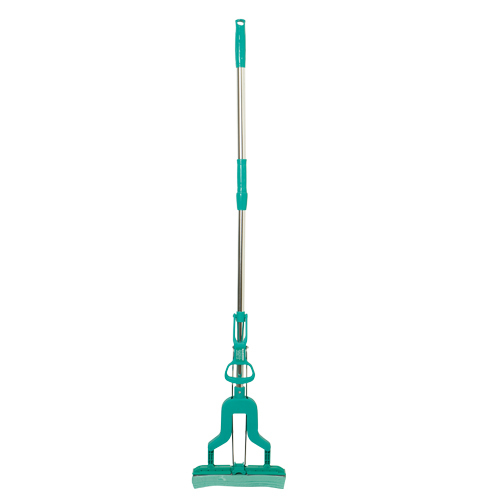 Mop handle is adjustable for user preference. Sponge cartridge can be washed and reused multiple times and when required can be easily removed and replaced with a new sponge cartridge. 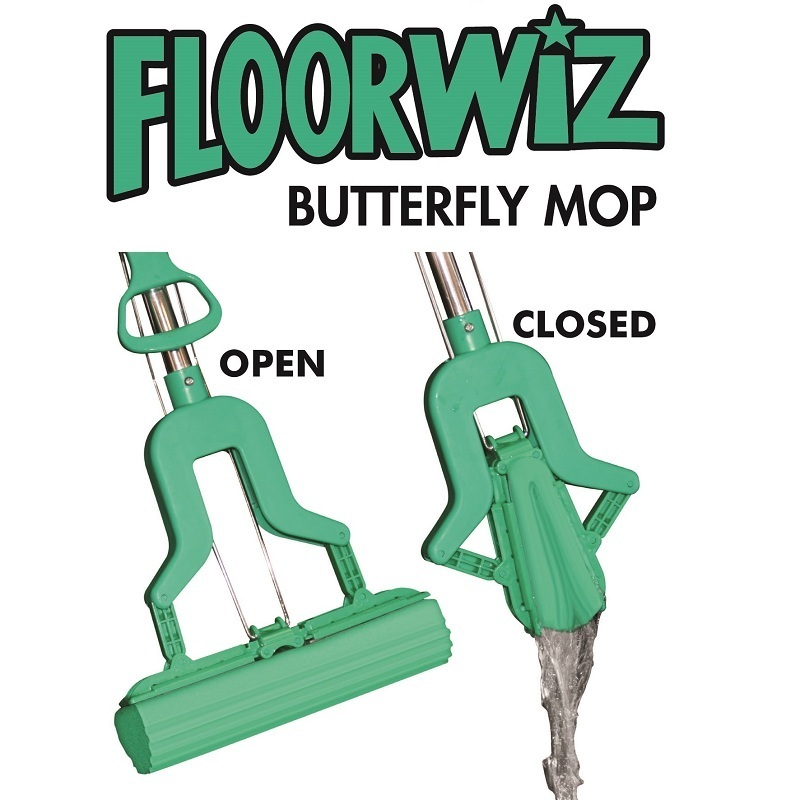 With FloorWiz you can even eliminate the need for indoor sweeping, as it can perform sweeping simultaneously while mopping! Besides floor cleaning, the non-scratch properties of the sponge surface also allows for window planes cleaning at high & hard to reach areas. You can even clean the dust off walls!